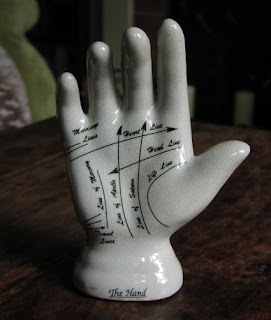 Here is a wonderful post covering everything you need to know to start off with palmistry. It was written by Jack Bird, of Stepping Stones in Greenwich. As the name suggests, palmistry involves the reading of the lines on your palm and the shape of your hand, all to help recognise who you are and where you’re headed in life. It’s more about personal understanding than something like fortune-telling, which would detail exterior factors. Our palms provide a map to our energies; with the right hand offering a look at the past and the left indicating character traits and destiny. 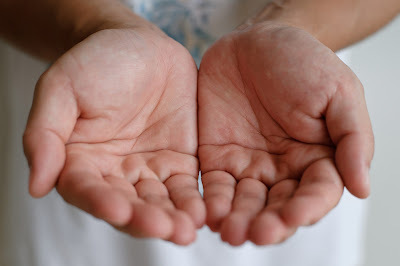 These are reversed for left-handed people, but palm reading can’t be done accurately without training. Professional palm readers and psychics train for years to understand what each crevice and crease can represent, and flipping through a book on palmistry won’t cut it. However, if you want a basic understanding of what the lines on the palm represent and what palmistry is, then this post is perfect for you. Our palms contain three major lines – the head line, the life line and the heart line. Head line: This line sits between the thumb and index figure, and runs horizontally across the palm. This details psychological and mental information about the person, as well as information about their intuitive abilities and intellectual levels. Life line: Beginning between the thumb and index finger, the line the runs down the base of the thumb to connect with the wrist. It is a misconception that the line reveals how much longer you will live and instead focuses on your general wellbeing and the challenges that may come your way. Heart line: This is located above both lines and starts under the middle finger, reaching towards the little finger. Many people take an interest in palm reading to find out more about their love life, and this is where the heart line comes in – which is appropriately also known as the love line. This usually represents a person’s outlook on love, how deeply one can love and how smoothly a relationship may be going. What else can be read on a palm? Outside the major lines just detailed, there are also secondary lines that reveal more about you. They are generally fainter than the major lines, and reveal things about your strengths, weaknesses, talents and interests. They can also cross over bumps, which palm readers refer to as ‘mounts’ and believe are related to planets along with our emotional/physical selves. Each palm has seven mounts that coincide with Mars, Jupiter, Saturn, Mercury, Venus, the sun and the moon. Markings are not like lines, in that they come in many forms and can symbolise both negative and positive interruptions in the lines and mounts of the palm. They can resemble stars, grills, triangles, circles and squares and can be warnings of events like separations, health problems and trauma. However, they can also represent resolution and recovery too, with the location of them on the palm being an important factor. If you want an accurate interpretation of all the complexities of these marks without taking a study course yourself, talk to a fully trained palm reader. The psychic vision of the reader can fill in any gaps that palm reading cannot reach. You can contact the team at Stepping Stones of Greenwich find out more about palm reading as well as other psychic and tarot services.